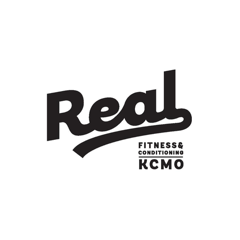 Start taking classes at Real Fitness & Conditioning and other studios! Smart, safe, sustainable programming that works towards defined goals and achieves proven results. The coaching staff determines, defines, and drives classes that are built as a series. Each individual class becomes stacked in manner that has a focused outcome and intent over a longer period of time. Steady, progressive and consistent training with a long term vision and plan to execute is the foundation of “the program.” It's like having a personal trainer write up your workout daily specific to you but having your friends and crew around to keep you accountable and motivated. They told you we built a better training program and class. Now we explain the core principles and basics that go into it. There are no upcoming “THE PROGRAM” classes on this day. Please dress appropriately and wear proper footwear. Be prepared to work and do just about anything both inside and out (weather permitting). For Spin classes please bring your own bike and trainer. Good class! Everyone was very nice and welcoming! Seems like a pretty close knit community of people who have been going for awhile. Ezra also made sure I was comfortable and helped me modify the workout when necessary! I definitely will be back! I love the routine this gym has and everyone was very friendly. loved the intimate training session. Challenging and satisfying. I love this place. The people are great, and it’s an awesome workout. Definitely going to keep this place in my regular workout rotation. Great workout! I’ll be back. Great class! Joe is a great trainer. Hands on and interactive. Highly recommend! Well constructed program with a variety of exercises for strength building, flexibility, and mobility. Everyone there was friendly, and I felt safe performing the big lifts under Joes supervision.